Lead pencil made from recycled plastic. 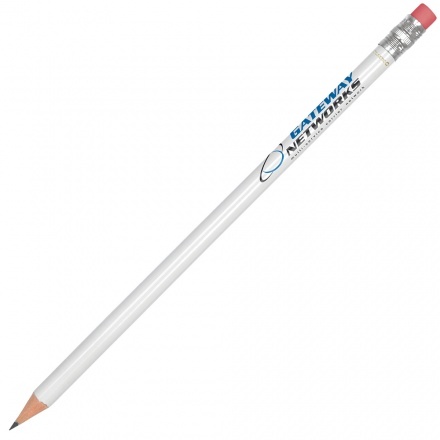 Available in a range of colours with silver ferrule and pink eraser. The white version can be printed with up to 3 colours, while the rest of the range is suitable for single colour printing only. Example price include one colour print in one position.